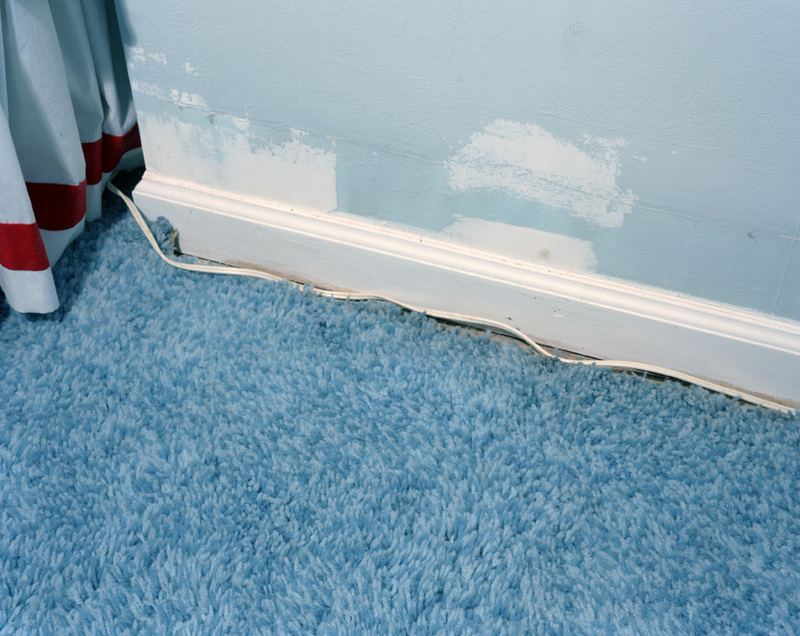 Corner, 2005, 29x36.5 inches, archival pigment print. 509 is a series of photographs of the family home of music industry veteran and publisher Jefferson Holt. Drawn to Pecchio’s ongoing photographs of inhabited spaces, Holt invited Pecchio to photograph the home of his upbringing in Burlington, North Carolina two years after his father passed away. The home has not changed much in several decades. Why should it? Fads pass and new appliances are often poorly made. Wait long enough and the wallpaper might come back into vogue. PECCHIO: Much of my work examines connection to place, and well-loved homes are rich with subject matter. Before I made these photographs, I walked through the house with Jefferson and his mother. Both shared stories about each room and its contents. When I came back and had the place to myself for a week, I had time and freedom to explore, two things I value most in my photographic life. I worked through the house room by room. I’d begin by sitting in a room, carefully taking in each detail. I connected some details to the stories I had been told and invented other stories of my own. Then I’d begin photographing. One photograph led naturally to the next, and I stopped only when I felt I had exhausted all possibilities.